I have wood screws whose heads are stripped from trying to remove them with a drill. The drill (or screwdrivers) can't grip the heads anymore. What can i use to remove these screws easily? Damaged screws are extracted by drilling into the screw with a drill bit, then using a special screw extractor bit that is tapered and has threads which turn opposite to those of the screw. The extraction process should be done slowly and carefully because the extraction process is more fragile than the normal insertion of a screw. I found this to be a good write-up with pictures. You may be able to cut a notch in the screw head using a hacksaw (or similar cutting tool), then use a slotted screwdriver to remove it. 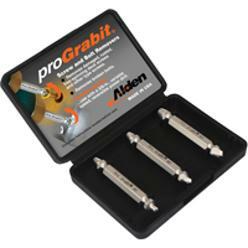 There is also a kit called a Pro-Grabbit that is made for stripped out or broken screws. 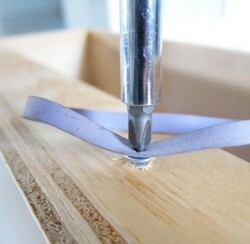 I've used it before, using a portable drill with one tip to drill it out and fip the bit and it will extract the screw. It has worked for me on the couple times I've needed it and suggested for work when there is a need. This is the Pro Grabbit. Here are the instructions for the brand I sell. You can get these at any hardware or diy store. Before you put a lot of work into removing the screw, you should try placing an elastic band between the screwdriver and the screw. Often when the screw isn't completely stripped this method works fairly well. If you're okay with leaving part of the screw in the work (the shaft, not the head) you have the option of drilling out the screw without recourse to any special bits. Simply take a high-carbon (or harder) drill bit, one size smaller than the screw shaft, and apply to the center of the screw head at your drill's maximum torque setting. If you have trouble keeping centered start with a smaller bit, drill down do a depth of maybe 2x the head length, and repeat with progressively larger bits. Sooner or later you will destroy the head, releasing the shaft from the top portion of the work. At this point you can free the top part of the work by rotating it manually if the thread is engaged to it. If the thread is not engaged to it lift the top part of the work clear of the screw shaft and unscrew the shaft using pliers. Put a bit of ajax powder on the screw driver tip mixed with your spit. It fills in and adds friction. Also, you can use fine dirt as a substitute for the ajax. I have used this method with great success for many years. If the screw isn't buried all the way in, I've found a pair of vise grip pliers (maybe even regular) work great, just clamp down around the head (I will do parallel to the surface of the head, so you can use the length of the pliers for leverage, or in other words at a right angle to the length of the screw) and start turning, if its not high enough, I have used the screw extractor method at work and it seems to work well enough. Good luck. If the screw is too tight and big enough you can weld a nut or something. This has worked for me with worn bolts. If it's sticking out at all, just take the bit out and tighten the chuck onto the exposed screw. 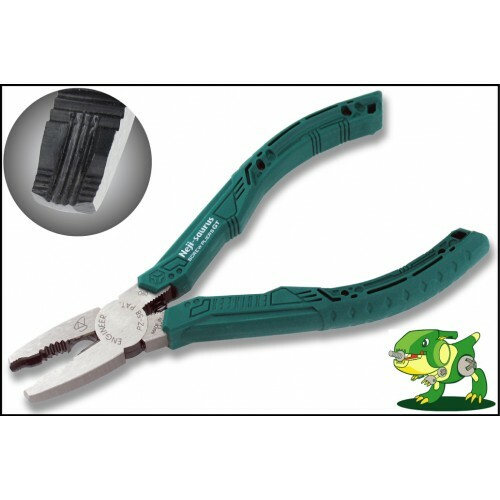 To remove a stripped/damaged screw easily, you can use a pair of specialized screw pliers. These have special jaws for gripping the outer perimeter of the screw head. Simply twist and remove. 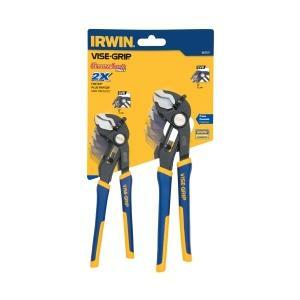 I use my Irwin vise-grips all the time to remove screws in this fashion. Just grab the head and turn! If a tiny bit of the screw is still above the surface it's in, I always use an electric screwdriver to grab hold of the screw, and unscrew it. That is, mount the electric screwdriver on the screw the same way you would mount it on a normal drill - then simply reverse to remove the screw. Much simpler than using vise-grips, pliers, and other things to grab hold of it - and much faster to remove the screw afterwards! The screw was bound by plastic Raul plugs, screwed into a bathroom tiling. So I first started out by hammering the sides trying to loosen it up a bit. I tried using the combination pliers as a lever for the screwdriver and then hammered away to yank it out. That didn't have much effect. Not the answer you're looking for? Browse other questions tagged screws removal or ask your own question. How do I unscrew a hex screw that doesn't have any grip anymore? How can I remove a Philips screw with a stripped head? How can I cut off the rusted closet bolts holding my toilet? Will a drill bit that came with a dremel be good enought to drill out a screw? How can I relocate a receptacle that cannot be removed from the junction box? How can I repair screws in furniture with stripped holes? How can I remove a really stuck screw? How can I remove paint from slotted screw heads?